Ever found yourself in a large crowd and for the life of you couldn’t locate where your friends or family were? Well no more. There’s a new gadget in town by the name of Lynq, this dandy device helps you locate you friends easily without any distress. It is simple to use and highly effective. All lynq needs is for you to enter your friends or families names and you won’t ever have to worry about going and looking for them if they or you are lost. Lynq becomes a handy little tool that you simply clip onto your bag or jeans to locate friends in a fair or concert or while camping. You never have to say I’m by so-and-so thing again and what’s even more interesting is that this cool device does not require an internet connection to work. It is simple and neat. A few features here and there and that’s all what Lynq does. It gets you to your friends when you’re lost and that is great in and of itself. Using a combination of GPS and kinetic positioning, it tells you your position in relation to your friends. There are no pins on a map or directions or coordinates to tell you where your friends are, just simply a vector that works anywhere outdoors. All you see is a blob that moves around lynq’s screen to tell you where your friends are. The closer they are the larger the blob in the direction they can be found and vice versa. 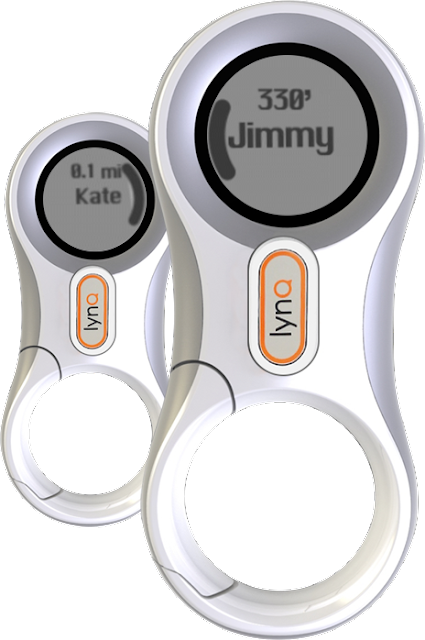 With lynq, up to 12 persons can get connected and this device works for up to 3 miles or longer depending on the outdoors. 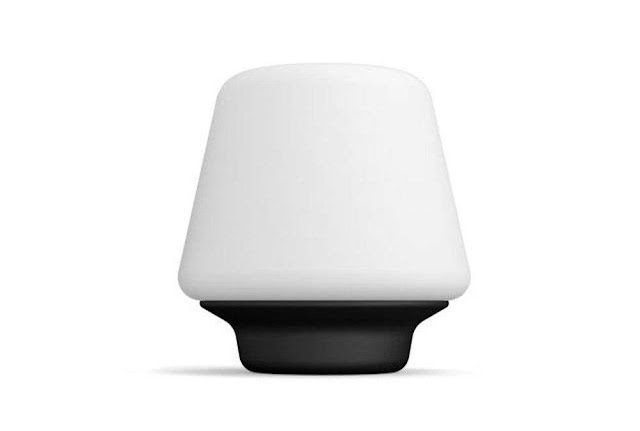 Besides adding your friends into the its system, the device also allows you to navigate to a home location or base point where all connected lynq devices can point toward and a safe zone that warns you when a person leaves the safe radius. You could even send basic messages which are already preset into the system like “help” or “meet up”. Other than taking lynq on camping trips, this gadget is useful for keeping track of the elderly, pets, kids or it can be really useful for rescue workers too. While it is really helpful for civilians, the military too found it very useful. In a joint testing program with the Thai ministry of defense, the U.S. Pacific Command found this gadget extremely useful in finding soldiers in the absence of any radio signal. It also helped them to get into formation faster for conducting a search mission. This gadget has not only captured the interest of the US government but is also easy to understand and use. When not in use lynq switches off but continually receives data behind the scenes. This helps in saving battery and plus when you open back the screen there is no lag in data. This gadget can be got for $154 for a pair and the price is likely to go up soon, so you might want to grab a pair before it does. Tires had stated that the Style Insight forum to be kept at Hankook Technodome is actually meaningful wheeere one would see fine works of young developers of the future tire creativity at the new and state-of-the-art R&D centre – Hankook Technodome. In all 34 works had been submitted included in Hankook Tires’ Style Insight Forum with five who tend to win. The company hopes to create further collaborations utilising the long term leaders in collaboration with the technology leadership of Hankook Tires with the Style Insight Forum. 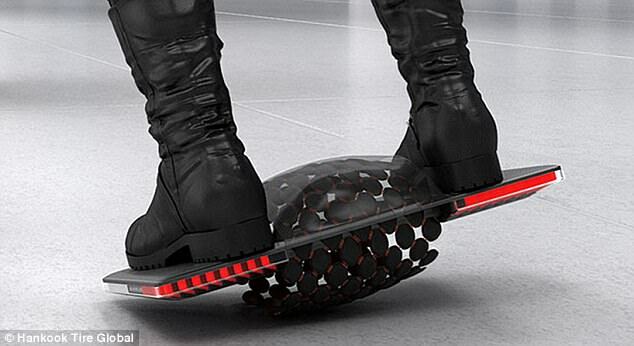 The up-and-coming designs comprises of a magnetic hoverboard together with an expandable autonomous coach. The first winner had been the `Flexup’, which is a sole wheel that tends to move freely even on the stairs. The wheel is said to expand and contract through a standard of allocated treads, enabling the free flow in moving around corners by utilising a titling system which seems to be akin to skiing and tends to go up and down the stairs. The `Magfloat’ design tends to resemble a skateboard but rather than utilising wheels, it is said to use a magnetic field extension together with a rotation standard. This tends to permit the user in the free movement at speed of around 12mph – 20 km/h. The `Mayfloat’ and `Flexup’,creativity are the outcome of a discussion between the creative and the realistic alternatives to the future driving together with design and technology linked to urban landscape wherein these ideas took the shape of a whole new driving experience. `Autobine’ is said to be the third winning device which is an autonomous bus concept wherein the main frame is said to expand and contract. Moreover, the tires on the bus in inclined to attach and detach automatically as per the number of the passengers in it. Then we have the `Shiftrac’ which is said to be a wheel that has been particularly developed for the police cars. The tire of this enables the car to make rapid lane changes and tends to turn corners with ease, via a skating standard that thrusts the wheels outwards. The Shiftrac tires could be utilised by police cars while on car chases to make sure these people do not have the need to slow down as well as while taking sharp bends. The ultimate winner in the design competition of Hankook was the `iPlay’ which is said to be the one-man device having two enormous wheels. The vehicle is said to accomplish the optimum performance even at very high speed and has the tendency of changing the wheel angle in order to take bends without losing speed. Though the designs are at the moment only perceptions, they tend to provide insights into what the future has in store for vehicle together with design of wheel. 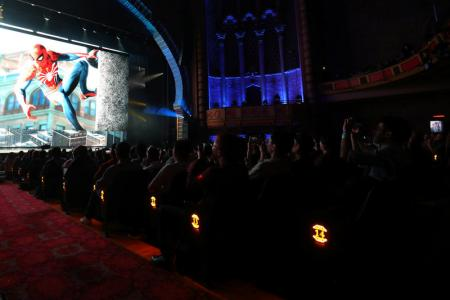 An updated game `Spider-man, for PlayStation video console, had been unveiled by Sony, at the Electronic Entertainment Expo – E3, in Los Angeles recently. It is said that Spider-man is likely to be released in 2018 and is being established by Insomniac games, which is the group dealing with the contribution of PlayStation like `Resistance’ and `Ratchet & Clank. The president and CEO of Sony Interactive Entertainment America, Shawn Layden, at the time of unveiling the `Spider-man’ game, had commented that the future is here and it is now with PlayStation 4 Pro and PS VR. Virtual reality – VR is rapidly gaining new battleground in the gaming scenario wherein developers are in search of winning over fans with immersive headsets and accessories. Sony Corp had mentioned that last week it had sold over one million units of its virtual reality headset all over the world and was enhancing production. Besides this at the E3, Sony had also announced that the cult game `Shadow of the Colossus’ would be getting a high-definition remake for PlayStation 4. This game as well as the next `God of War’ edition are likely to be released next year. Though since Spider-Man 2 the Spidey game has not be mostly good, we seem to live in hope. The reason of Spider-Man 2 is the standard of Spidey game which came down to the feeling of sandbox. The new game after an original story, not a tie-in film, tends to look fixed in reclaiming some of the earlier glory. Though there had not been any strong announcement, it surely seems like it was utilising the Spider Man 2 model. Perhaps the biggest E3 2017 news, so far is the launch of the Xbox One X and after several months of speculation, the `Project Scorpio’ game console was unveiled by Microsoft. One of the most striking features of the Xbox One X is its design. A dreadful amount of hardware has been crowded into what is claimed to be the smallest Xbox by Microsoft. Microsoft’s answer to the PS4 Pro is the new high-end console which will be hitting the shelves on 7 November which will be costing £449.99. At its global E3 showcase, Sony may not have exposed a brand new console though there had been no lack of best-seller game being provided. Ubisoft contributions covered varieties from action shooters like `Far Cry 5’ to sports, piracy, dance, together with space money and virtual reality. However, the prime announcement had been the new game in the tremendously prevalent `Far Cry’ series. The future edition of the first-person shooter action-adventure is said to be the 11th instalment in the award-winning series which is scheduled for a release on 27 February 2018. Assassin’s Creed’ franchise, the next game in the long-running is called `Assassin’s Creed: Origins’ and is said to be one of the most expected games of the year. Assassin’s Creed is considered to be a franchise centred on exploit-adventure video game series designed by Ubisoft. Plenty of rumours have been circulated and speculated with regards to `Assassin’s Creed” Origins’ much ahead of E3 2017 and the new video game has been heading for Egypt taking the story back to an ancient world. On October 27, versions of Origins custom-made for playing on Xbox One, PlayStation 4 and Windows-powered personal computers will be released. The relaunch of legendary Nokia 3310 took the world by surprise when the Finnish company announced its release date in Barcelona. The news made fans rejoice and took us back to the early 2000 when it was first launched. It was ahead of it's time and was termed as unbreakable due to it's hardy design. 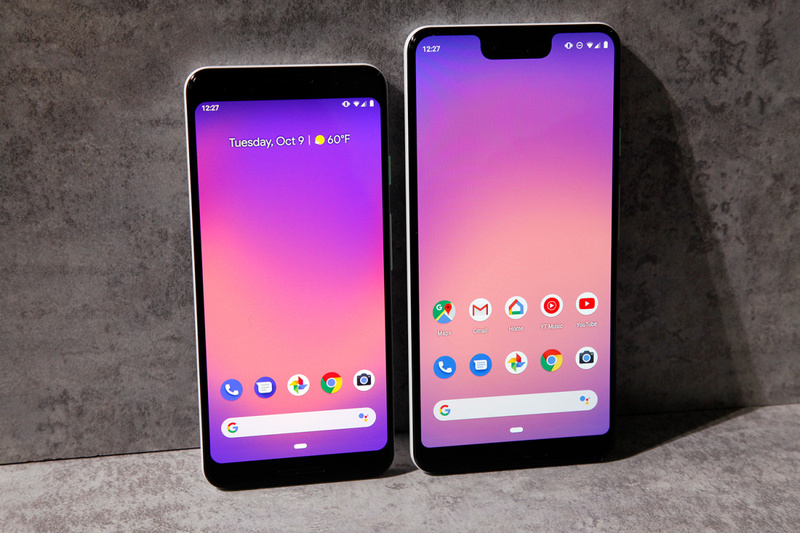 The announcement came as a shock as people wondered that whether the re imagined model would work in the modern times of smartphones and tablets. However, the company is banking upon the nostalgia factor and is positive that it will have its respective buyers from all over the world. With the tagline of " modern classic reimagined" the developed model of the new Nokia 3310 has been improved and customized slightly from the previous handset retaining the trademark features with some added new attributes. 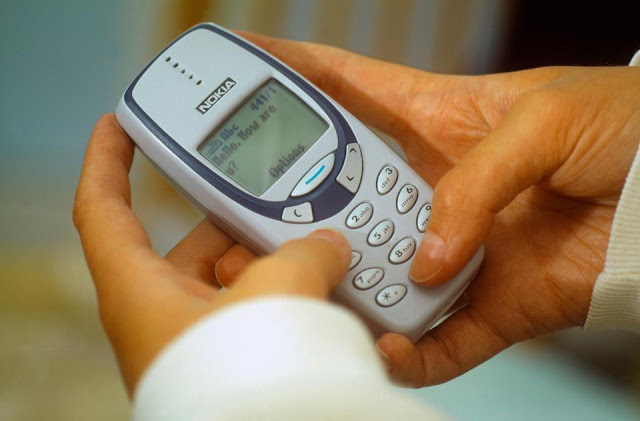 Back in the time, this model was famous for being "unbreakable “, having an extended battery life about two weeks and the world was introduced to the mind puzzling Snake game. People didn't care about carrying a charger every time while going out. Lighter than the old model, the new phone retains the original shape like that of a brick and is sturdy as well. However to cope with the present time, it comes with new added characteristics like the camera. It has a 2MP back camera with a LED flash which can also be utilized as a torch. The phone lacks front camera, an important aspect of the smartphone. The options of self-timer and different image modes are available to choose from in this version. The 2.4" curved out screen ropes in the users for a better reading experience. Unlike the smartphones there is an absence of high resolution as this handset comes with a resolution of 240*320 pixels. It also comes with a 3.5 mm jack and an internal inbuilt memory of 16 mb which can be extended up to 32 gb through the micro SD card. It may be disappointing for the users so use of the memory card slot is must. The Opera browser and the Opera mobile store is pre-installed which includes important applications like the calculator, calendar, weather etc. It has the additional features of Bluetooth, text message, 22 hour talktime, standby time for about a month, micro USB port, Nokia series 30+ operating system and 2.5G network. The model is available in both single sim and duel sim variant with a removable battery. Users can have their handsets from the several color options like the glossy warm red and yellow or the matte finish grey and dark blue. Nokia 3310 does have some drawbacks as it doesn't support Java applications. There is availability of a music streaming device, no navigation application. The screen tends to be scratched easily. The phone is ready to hit the stores on 24 May will cost much less than the original. It would be available to all major retailers and operators. 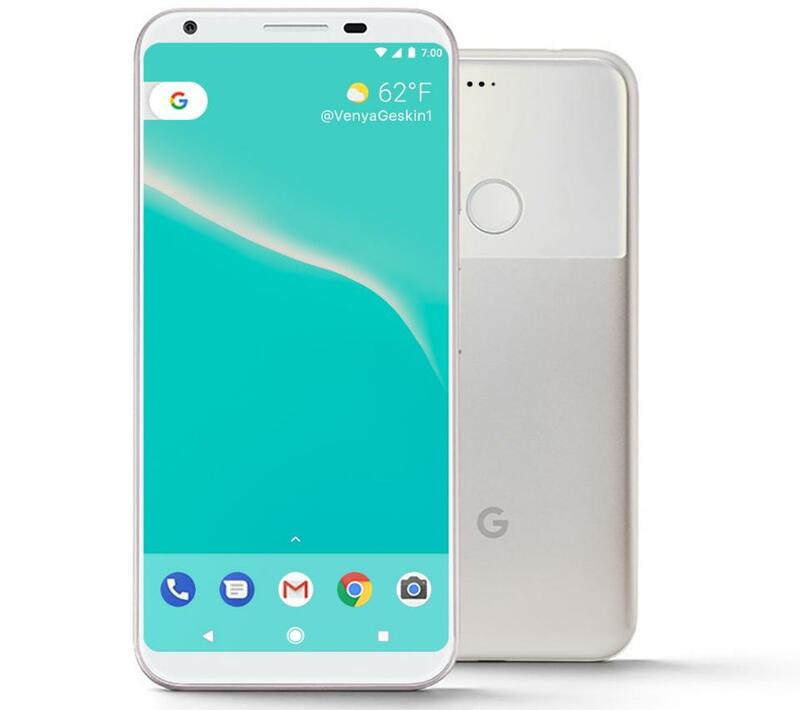 According to one of the major retailer, the demand for the retrophone is astonishing and fans are waiting eagerly for it. There has been a rush in signing up to get hold of the Nostalgic 3310 for its long battery life, hardiness and pure nostalgia. The modern smartphone is still in the learning process. In the rush of the technology world in making everything internet connected, the home tends to be a space with the greatest potentials for changes and lasting effect. We tend to be dependent on the internet in making our routine life much better and effective. There are various types of smart home products devices which are inclined in controlling the functions remotely from your smartphone and this trend is on the rise. Several renters are of the belief that they are unable to revel in the perks of smart home devices since they are incapable of altering their living spaces. However there seems to be abundant of amazing products which could be utilised in one’s rented apartment. Probably one would be on the look-out for plug-and-play devices which would need minimum or no installation that could be packed up and taken along when they tend to move out. The following devices could be impeccable for renters. Rather than replacing the prevailing smoke detectors with a smart equivalent, you could just update the prevailing alarms. The Roost smart battery could turn normal smoke detectors into smart devices by just installing the battery. 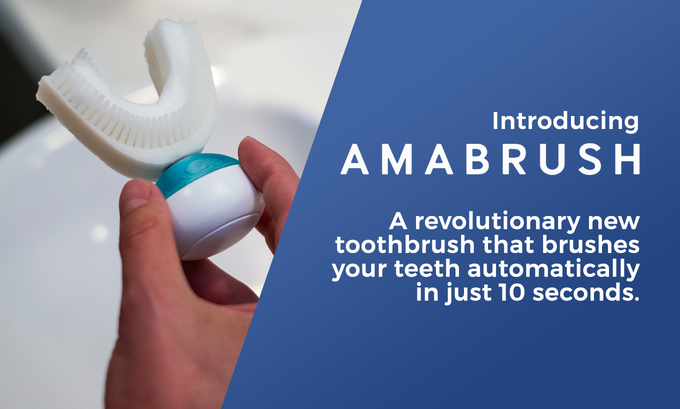 This would not need any tools and you could just pop it up and one would be capable of getting smartphone notification whenever the alarm tends to go off or if the battery seems to be low. It could be very annoying when one is faced with a high electric bill beside the rent. However Wemo smart plugs could be helpful. 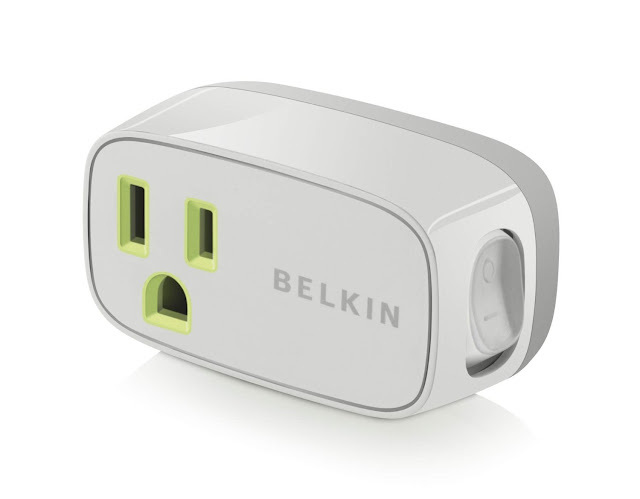 You could just plug them in your prevailing outlets and then plug in your appliances. This can be remotely controlled, whatever has been plugged in the Wemo, enabling the user to turn devices off when not at home. If an air conditioner has been provided by the landlord, you could upgrade the same into a smart AC unit with the support of the Tado Smart AC Controller. By installing the controller you would be capable of controlling the appliance remotely and save around 40% on energy cost. The Tado is also said to function with heat pumps. If the renter is not in possession of an air conditioner, he could treat himself to a smart, affordable AC unit. Frigidaire Smart Window AC tends to provide the renter with remote control over the device and offers maintenance reminders to save the user of not forgetting of changing the filter. The need of mounting cameras or pay a monthly fee for monitoring your home is not essential. The Piper All-in-One Security System together with Video Monitoring is said to be appropriate for rentals. This could be placed on a shelf or table and one will be capable of monitoring your place with HD video streams with real-time notification should something go wrong. Another product which could turn your normal apartment fixings to smart gadgets is the MySmartBlinds Automation Kit. When it is installed, you will be capable of controlling your window coverings from your smartphone and set up schedules for them to open as well as put them in energy-saving mode. Smart bulbs are much preferred to smart lights. There are no hubs or bridge needed for these light bulbs besides a Wi-Fi connection. These could be even synced with Alexa of Amazon and hence can be controlled with voice commands. Smart showers are said to be fantastic though there are chances that the landlord may not compromise on the installation costs. This should not stop you from enjoying a tech-savvy shower. The H2oVibe Rain Showerhead could be installed on the prevailing shower enabling you to answer calls or rock out on some of your favourite hits while you shower. Having noisy neighbours in the neighbourhood could be very disturbing especially at night. The gadget Sense Sleep system not only produces ambient noise in blocking out disruptive sounds but it also monitors your sleep patterns providing personalized recommendations on how one could have a good sleep and wake up in the morning. Yi Technology the Chinese company in the last two years, had made a niche for itself through its amazing proficient GoPro competitors. Presently the Xiaomi supported Yi is attempting to grow in the world of VR together with 360-degree video having two cameras. This was announced at the NAB conference in Las Vegas where one is said to be for professionals and is known as the Yi Halo which had been created in partnership with Google while the other happens to be a consumer spherical camera known as the Yi 360 VR. The Yi Halo a 17-camera monster with the potential of shooting stereoscopic vide in 8K resolution at 30 frames per second or 5.8K at 60 frames per second comes at a price of 16,999. It had been designed to function with Jump a high-end VR creation platform which had been launched by Google in 2015. The basic notion of Jump is to encourage VR film-making by removal of some of the huge barriers. Google tends to offer the general blueprints for the ringed camera rig together with server space for edging all the high-resolution imagery together and thereafter getting to kick back when hardware firms as well as film makers tend to create content for filling its promising Daydream VR platform. Yi is said to be the second company who has built a ring for the platform and last year, GoPro released the 16-camera Odyssey. The company has been utilising a modified version of 4K action camera in making up the Halo. The Yi Halo also tends to have another camera than the Odyssey which is said to be placed above the rig for improved capture of 360-degree footage directly above the head of the viewer when seen through a VR headset. Besides this it also tends to have a smartphone app, a touchscreen control panel with levels on the rig structure for filmmaker. Moreover it has a capability for these small though meaningful benefits over what GoPro tends to provide. For instance, Yi had been the first in making an action camera which tends to shoots 4K footage at 60 frames per second which professional GoPro users tend to cry for since the release of the Hero 4 cameras. The spherical camera which GoPro had announced recently is the Yi 360 priced at $399 which can capture 360-degree video at 30 frames per second in 5.7K resolution somewhat edging out the 5.2K resolution of Fusion. Yi had showed up at NAB complete with specs for its announcement while GoPro had been thin on details for the Fusion. 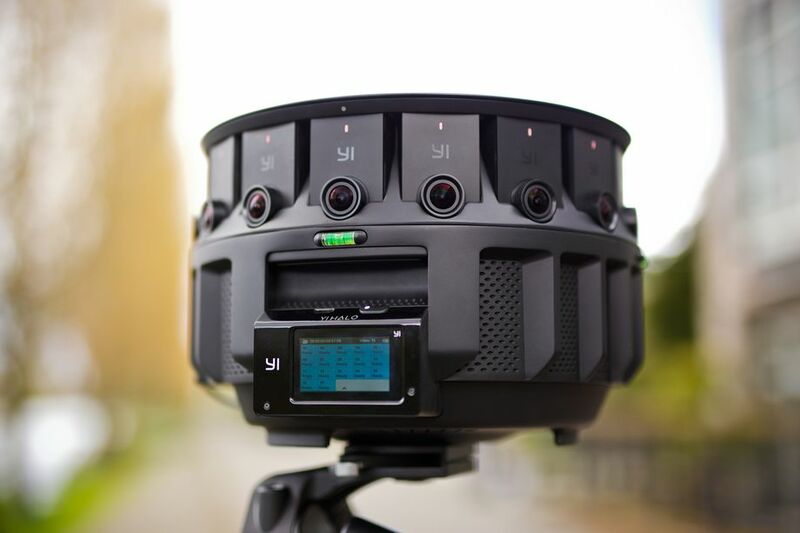 The Yi 360 VR utilises a couple of overlapping 220-degree lenses, two 12-megapixel Sony IMX377 sensors together with an Ambarella processing chip to close the footage collected in-camera. Besides this it also tends to stream 2.5K footage at 30 frames a second over Wi-Fi and user have an hour of battery life. The limited release of Yi 360 VR would be made available in June. In the meanwhile, both the cameras would come to the US before making it to its home base of Yi in China. Sean Da, Yi CEO had informed `The Verge’ that while he hopes Chinese VR viewership to boom in the forthcoming years, this is due to the majority of `high performance, high quality video creators who tend to be US or European creators’. Researchers who had developed `master fingerprints’ with the capability of tricking the sensors, are of the belief that smartphone fingerprint scanners tend to be less secure then led to believe. 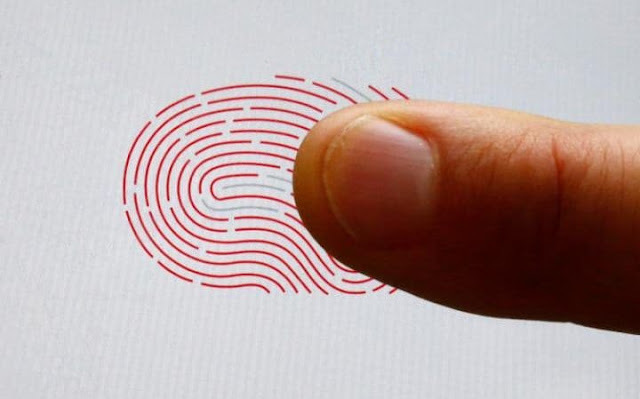 They were capable of bypassing fingerprint readers that had been utilised in unlocking phones, log-in to apps and in making payments, utilising fake fingerprints developed by using patterns located across several real prints. This discovery from New York University and Michigan State University gave rise to query regarding security of the popular utilised technology. The researchers were capable of creating a set of `master prints which could trick a scanner up to 65% of the time. Fingerprint scanners are considered to be more secured than depending on passcodes in unlocking smartphones. According to Apple the Touch ID scanner utilised on the iPhone tends to have only a one in 50,000 chance of matching with somebody’s finger. Though the researcher state that they had tested only their discoveries in computer simulation instead of real smartphones, they cautioned that the technology creating artificial physical fingerprints had been refining quickly. Since in present days the fingerprint readers on smartphones seem to be comparatively small, they usually tend to scan various areas of a fingerprint making sure that just one press of a finger or thumb could effectively trigger the sensor. Since several users tend to register numerous fingerprints on a device and there are often dozens of various incomplete prints registered on a phone, only one of these incomplete scans could be a match for the sensor in unlocking a phone. According to Nasir Memom of NYU, one of the authors of the study that had been published in IEEE Transactions on Information Forensics &Security had commented that there is a greater opportunity of falsely matching a partial print than a full one and most devices tend to depend only on partials for the purpose of identification. In spite of the human fingerprints being comparatively exclusive, researchers have stated that they had discovered adequate resemblances between various prints in creating synthetic master prints which could effectively replicate several fingerprints of the users. Since the phones seem to typically permit several attempts before deactivating the fingerprint scanner and needs a passcode, Mr. Memon had stated that one could create a glove with five different fingerprints which would get into almost half of iPhone before the five attempts permitted, tend to expire. Irrespective of the well-known trust in fingerprint scanners, some of the phone manufacturers had hosted other authentication systems. The new Galaxy S8 phone of Samsung is said to have an iris scanner together with facial recognition though the latter is shown to have been fooled by images. Moreover, smartphone passcodes have also portrayed to be susceptible to cracking. There seems to be a one in 10,000 chance of guessing a four-figure passcode though researchers from Newcastle University have shown that the motion sensors in a phone could disclose the numeric codes by identifying how a phone tends to move when certain areas of the screen are pressed. Japanese researchers had earlier cautioned that posing with peace signs in images could be adequate for hackers in copying your fingerprints and then unlock a fingerprint secured phone. Mobile World Congress at Barcelona is an esteemed event which is followed closely by the consumer electronics industry and fans worldwide. Samsung has always indulged in showcasing its Galaxy S Smartphone at this tech show since 2013 but this year it has given it a miss by simply bringing two tablets and a virtual reality headset. The particular VR headset unveiled by the Samsung comes with a remote control which is weird but exciting at the same time. It is hard for any major Smartphone maker to do away with the Smartphone complete at MWC therefore Samsung briefly teased one new Smartphone right at the end of its presentation. Samsung however left the presentation at a happy note by stating that the new Smartphone will be unveiled on 29 March in New York later this year. Samsung has already lost the crown of most selling Smartphone brand in the world to Apple this year in terms of shipment. After the Note 7 debacle last year Samsung has lost a considerable market share to rivals and not bringing any successor to the S7 at MWC will simply become a boon for the rivals especially Huawei. However signaling to the fans that a new device is expected to make its way to them soon is a good thing from Samsung point of view as it will make potential buyers to wait for some time. 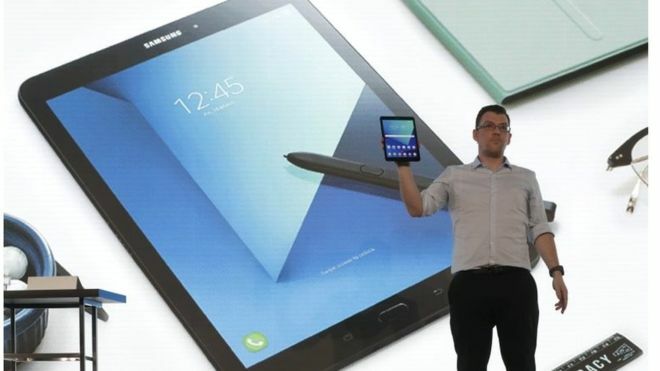 Samsung has launched two new tablets the Galaxy Tab S3 and Galaxy Book and both of these devices are targeted at the consumers who are more into gaming and video playback. The Galaxy Tab S3 comes with a 9.7 inch screen and boasts of the latest Android 7.0 Nougat. While Galaxy Book will come in two different sizes of 10.6 inch and 12 inch and it will be running in the Windows 10 OS. Galaxy Book is being targeted at the on the go professionals and it also comes with additional accessories in form of snap-on keyboard and S Pen stylus. Tablet sales are going down on global scale for all the manufactures as the initial popularity for the larger devices has depleted. Consumers tend to favour the larger Smartphone instead of tablets but Samsung is looking forward to ignite popularity in larger device through bringing better specs coupled with features. Both of these tablets boasts of the organic light emitting diode (OLED) and displays and brings powerful specifics which will help in reigning over the competitors. Samsung days are going rough since its recall and effective demise of the Note 7. Sadly its presentation had an unexpected appearance of the Greenpeace activist staging a banner stating ‘reduce, reuse and recycle’ which is direct wink at the Note 7 handsets. Quite a number of protestors started gathering around the building where this press conference was taking place and they displayed varied banners on the same lines. Samsung is making news each passing day for its upcoming Galaxy S8 as well as for its Bixby assistant. But what is going to blow you away is that Samsung is on the verge of launching a foldable Smartphone in Mobile World Congress (MWC) in Barcelona. Samsung has a tough 2016 where it had to deal with controversial blowing out Galaxy Note 7 which resulted in recalling as many as 2.8 millions handsets from all across the world. Later on it lost the prime position as the most Smartphone selling OEM to Apple. But Samsung finally gets into the groove as it filed a patent for a Smartphone which can be folded in half with the Korean Intellectual Property Office. Samsung has not confirmed the name for the foldable Smartphone but it has been reported by the GSMArena that it will be tentatively title as Galaxy X. 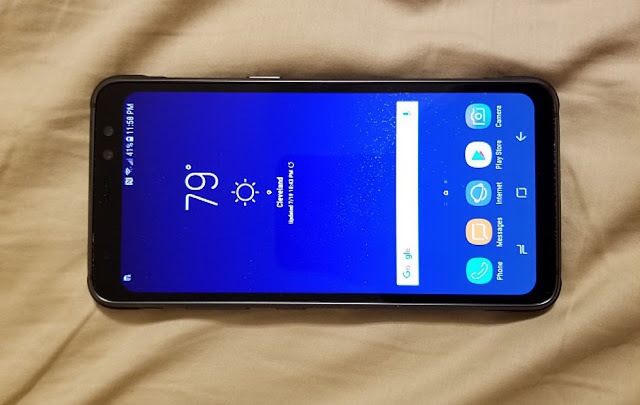 On button placement this Smartphone will get the traditional Samsung home button on the front while back button will feature at the right side and menu button on the left. The aspect ratios for this device will be amazingly 21:9 and it will extremely to see such a designed phone in full glory at the MWC. Samsung will be making use of an OLED display which will possess the ability to bend right from the middle to turn into a foldable display. Lee Changhoon, director of Samsung Display has famously said in 2016 that their plans of developing a foldable OLED is working in positive direction. They were set to start the mass production of the foldable display and releasing it will certainly be done after discussing with varied partners in question. Samsung has certainly learned from the Galaxy Note 7 debacle wherein mass production in hasty fashion resulted in faulty batteries which blew the devices a great device and brought it untimely demise. Therefore Samsung has decided not to opt for a hastily introduced mass production for the foldable OLED display. Galaxy X will certainly be launching in the latter half of 2017 though its availability might be limited during the initial phase. 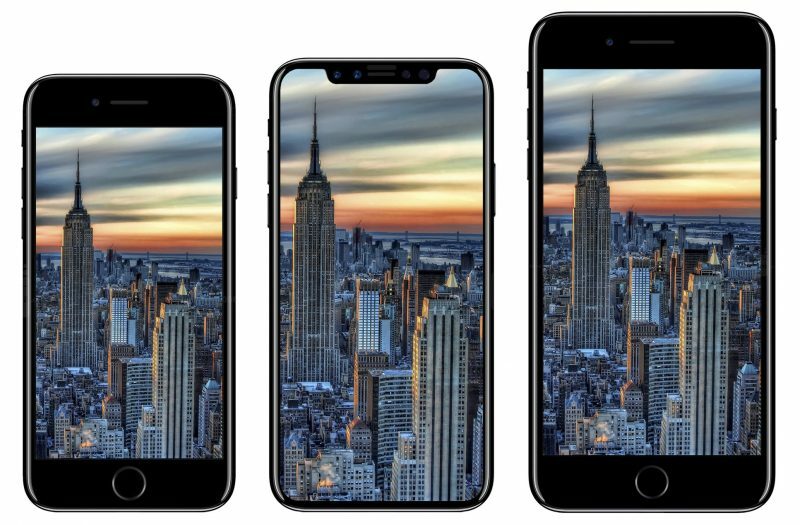 Pricing, specifications and feature set are simply kept in tight wraps so is the ultimate design for this upcoming iconic device which might turn out to be most notable innovative gadget of this decade. 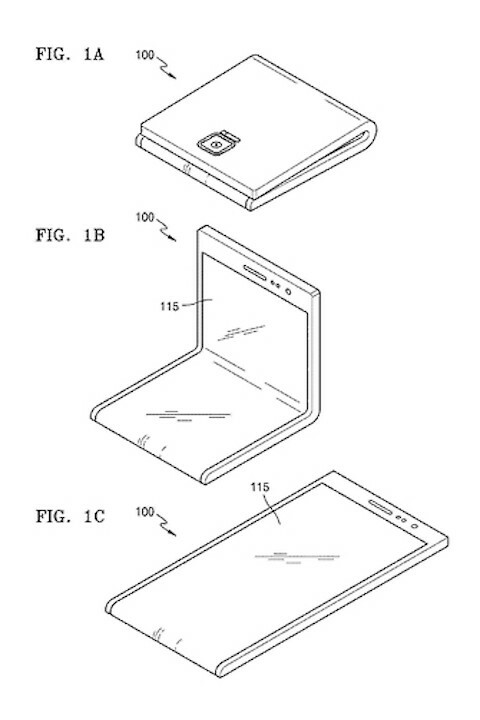 Microsoft is working on something on the same line of the Samsung as it has also filed a patent which reveals a device with a flexible hinge thereby effectively transforms a phone into a tablet. As reported by Verge this patented device will have the ability to transform into various modes of two to three screens which can later on be extended into a flat out design. The flexible hinge will help in setting up the device in tend mode which is very much like the Yoga Tablet series from Lenovo. We are living in a society, where the science and technology have registered a unique growth in various sectors, which have paved the way for some of the most interesting and path breaking developments in almost all walks of our life. Whereas, there are lots of developments can be seen in different industries and businesses, due to the extraordinary scientific innovations; there is one development, which has changed the entire scenario of the society towards various aspects is the Computer technology. The advent of the computer and the internet are nowadays helping us a lot in our daily routine and other jobs and mad our life easier and comfortable. There are several computer manufacturing companies, who are engaged in the production and developments of the computers and its accessories. The Microsoft is undoubtedly the front runner among its competitors in the field of computer manufacturing and also having the credential of up gradations of the computers, with an intention to make them more user-friendly and easy to operate machines. From the computer to latest trend of smartphone - the company is having their own signature in all such products and recently they are going to surfacing the latest Surface phone, the most modern device in the history of electronic devices. 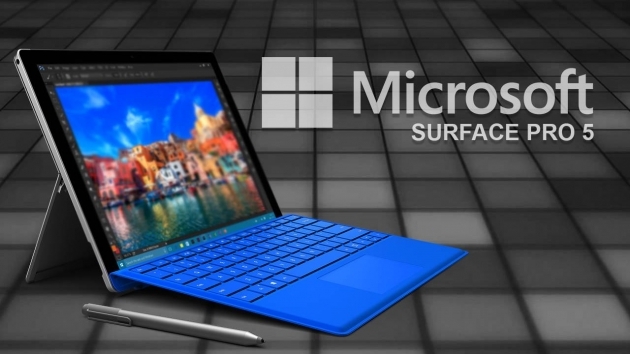 The Surface Pro 5 is having almost all relevant features and supports that a modern tablet should have for getting better results and the switching to the most important USB-C external ports is considered as one of the major breakthroughs. Unlike other revolutionary pieces of technology, the release of the first smartwatch a few years ago wasn’t met with a viral trend on Twitter or any other form of acclaim for that matter. Not only was it too expensive by watch standards, customers simply didn’t see the need to have a second smartphone-like device on the hand. Fast-forward to the present, and the situation is the same, if not worse. Smartwatch sales from leading manufacturers are either stagnant or plummeting. A technology that had great promise has now become the subject of many critical blogs, and even fans of the gadgets are now reconsidering their position. Nevertheless, smartwatches still have a place in the world. Here are five reasons why you should consider getting one today. Gone are the days where a landline phone on your desk was the only means of communication you needed in the office. Smartphones have enhanced the way we pass on information in a great way. However, having a phone can be an unpleasant distraction as much as it can be a benefit. 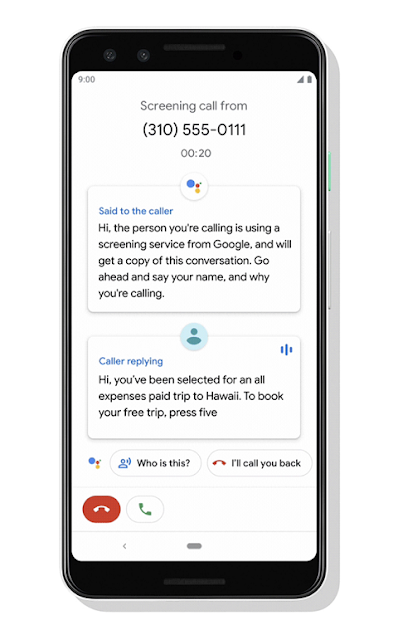 Every day, we receive countless notifications, and wherever we may be, we always feel compelled to check the phone everytime it beeps or vibrates. 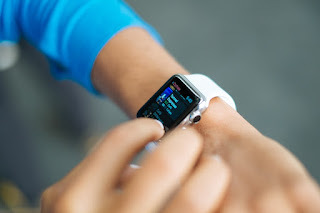 But with a smartphone, instead of reaching for your phone when a notification comes in, you can quickly glance at your wrist and decide whether it’s important or not, before opting to take action. Moreover, instant notifications through smartwatches eliminate the need of always moving with your phone to avoid missing important phone calls, texts or emails. We all want to live a healthier life, but staying fit requires quite the effort. 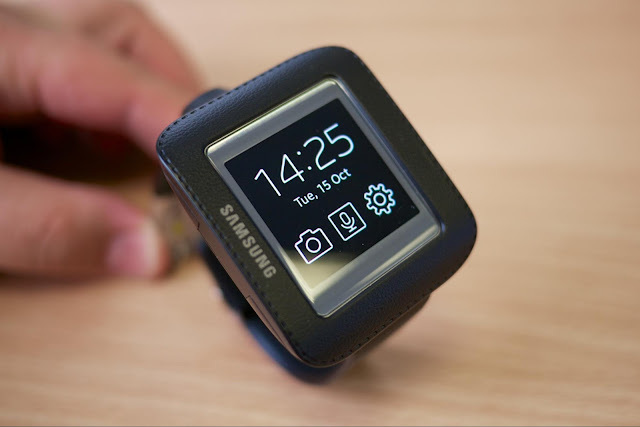 With a smartwatch, however, you can make your journey towards a more active life a lot easier. tracking solutions for joggers and runners. They use GPS to determine how far to run or which routes to take to achieve the desired goals. If you’ve ever experienced the hassle of having to pay for something when your hands are too full to reach for the wallet or phone, you will undoubtedly appreciate the smartwatch. 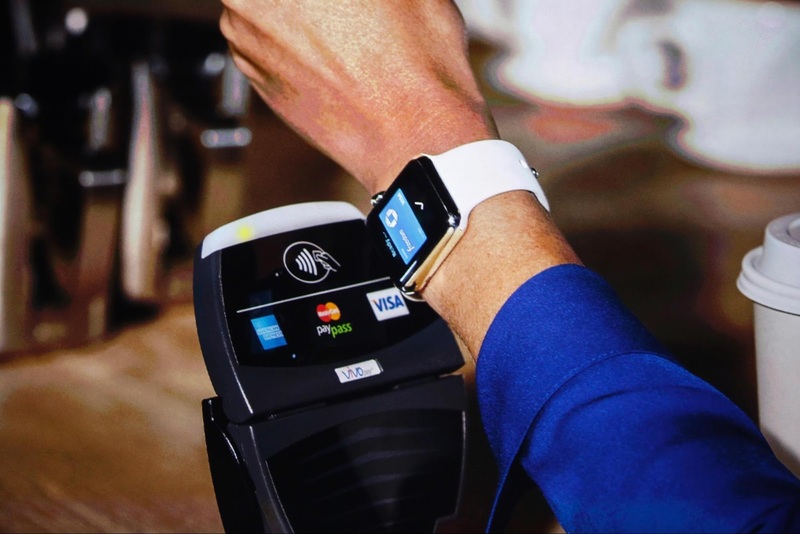 Both Samsung and Apple watches have “Pay” applications, which enable a customer to pay for goods or services by just clicking on a button and bringing the watch close to the payment terminal. Navigation has come a long way. It is almost ludicrous to imagine a time when we used paper maps to know the direction to take. Google Maps was the first major leap towards the success of electronic navigation, but just like a paper sheet, there was the inconvenience of always having to pull out your phone for directions. Voice navigation came in soon after, and although an outstanding innovation, some still viewed it a distraction to walk around while listening to audio navigation tool. With smartwatches comes the latest in navigation technology. 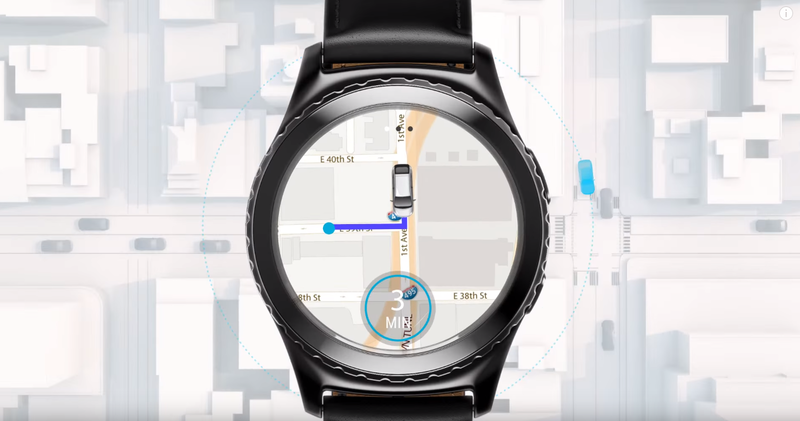 Samsung has won the hearts of many by incorporating the overly useful HERE WeGo app on the Gear S, Gear S2 and the recently launched Gear S3. HERE WeGo is a stand-alone app that offers navigation features without the need to be synced to your smartphone. Even more impressive is the Apple Watch, which in addition to looking at the screen, provides directions using its taptic engine. Admittedly, it’s not perfect, and you do have to learn what each haptic feedback means. But with only subtle taps on your wrist to tell you which turn to make, you can get around without even having to look at your watch. 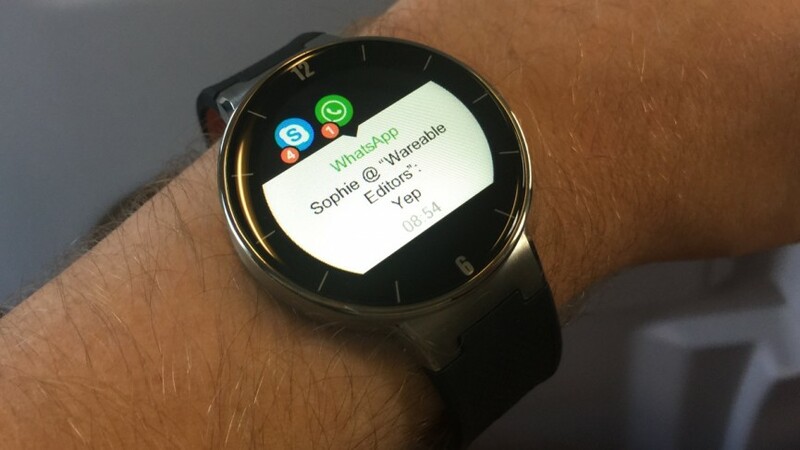 Regardless of their complexities, at the end of the day, a smartwatch is essentially a watch. And in addition to telling the time, a watch is meant to compliment the wearer’s physical look. Unlike buying a traditional watch which gets you stuck with one design, smartwatches are available in different colors and bands. For further customization, you could also personalize your watch by reorganizing the widgets and tweaking some settings. Contrary to what you may have read online, smartwatches are very handy gadgets to have. This is why, despite disappointing sales, leading brands are still unveiling new devices. Even more gratifying is the recent influx of cheap smartwatches, which albeit lowly priced still have a lot to offer. Smartwatches have an important part to play in the future of communication and modern electronics as a whole. The era of television has been seen to engulf the entire universe. With the new technologies being fed in television it has marked the level of expertise. In the genre of LCD’s and LED’s there have been much innovations. We have seen branded companies like Sony, Samsung, Panasonic and several other companies exploring new heights in this field. The competition amongst the companies is to design the slimmest television of the time with new technologies that will tempt all gadget lovers. LG has surpassed all limits by introducing the thinnest television of the time with several enticing features to provide all sorts of comfort to their customers. 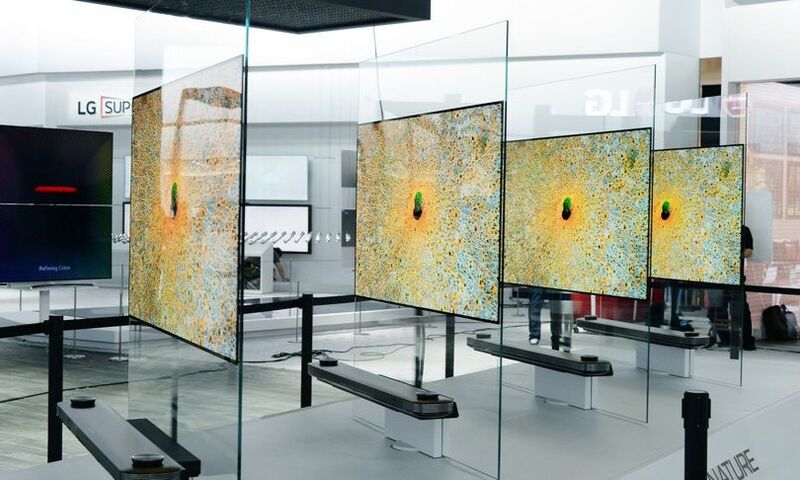 The CES that took place in Last Vegas this year have launched many OLED televisions. But, none seemed to be as thin as the one introduced by LG. It has unveiled a terrific Dubbed ‘Wallpaper’, branded W7, which is a massive 65-inch OLED television which is unbelievably just 2.57 mm in its thickness. It has been designed to keep it as slim as possible that will almost stick to the wall like a portrait and will be hanging with the help of magnets. The accompanied magnetic brackets provide support to the OLED that is required to portray a picture like view for which it has been stylized for. The magnets also seemed to making new records with the thickness of less than 4 mm from the wall just like the unimaginable breadth of 2.57 mm of the television. The awe-striking design and edge of the television will tempt you to take this latest launch of television to your place. LG has come up like a show-stopper brand with esteemed technologies in the field of electronics and has secured a pioneering position with their latest launch of OLED TV. They have confirmed that there aim is to develop a television leading to a flat screen that will provide an experience of a “picture-on-wall”. The screen which provides terrific picture quality is associated to a box that comprises of technical components and speakers, by wire. The sleek, razor like profile of W7 makes the TV to be presented like something illumined and hanging in the air, that ensures a mesmerizing experience to its viewers. LG has confirmed that the TV will also be launched in a version of 77-inches than being restricted to only 65-inches. LG has also launched a number of other OLED televisions like G7, E7, C7 and B7 at the US tech show. But the W7 version of OLED has taken the competency of thinnest television to new heights. 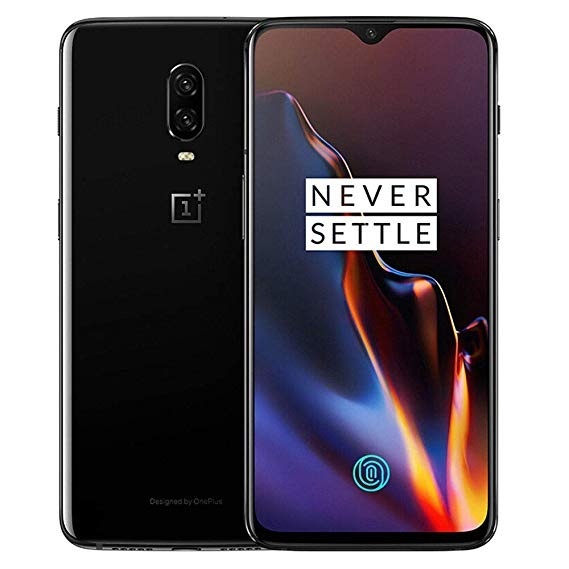 This latest version is capable of providing HDR footage accompanied by Dolby Vision and Dolby Atmos surrounding sound that will give you an effect of multiplex while sitting at your house. It also develops all the pictures frame by frame without compromising with the picture quality. It equivalently inserts dynamic data where required. Experience the sexiest OLED television of the era with W7 that ensures realistic and natural picture quality from all angles.